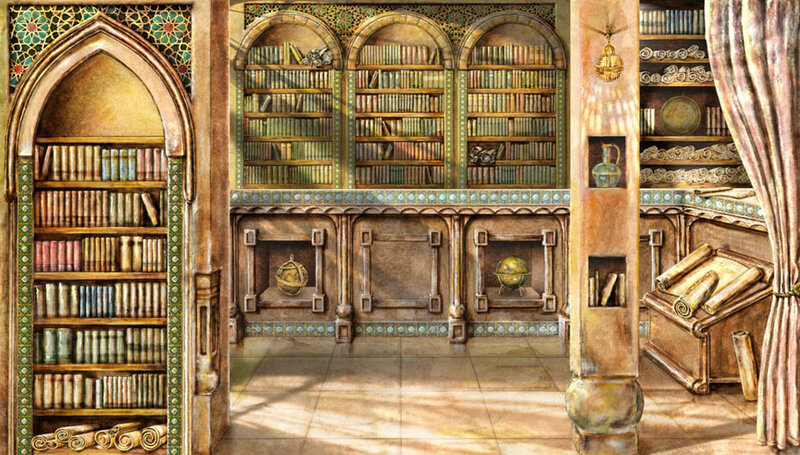 Modern celebrations of the 8th century library “House of Wisdom” in Baghdad often paint it as the symbol of an Islamic golden age: a shining light of the East against the dark ages of the medieval West; and a shining light of the past against the dark ages of modern associations between Islam and terror. But history is much more complex. More than a single institution, the House of Wisdom was a practice of transcultural transition and layered translation, where antique philosophy rejected by Christian Rome persisted through the funnel of Sassanian Iran and informed a nascent Islam hungry for knowledge, regardless of origin.It calls on us to imagine not a golden age of Islam as distinct from its surroundings, but as part and parcel of late antique cultures whose overwhelming interest in discovering truth is all too often erased in our modern concern for authenticity. Situating the House of Wisdom not as a golden age of Islam but as a transcultural inheritance, this talk explores how the early Islamic state enriched its coffers of wisdom through recognising the value of knowledge regardless of nation or creed. Focusing on music, epics, and fables, it looks at practices of internalisation at the heart of early Islam that modernity has all too often forgotten. Wendy M. K. Shaw (Ph.D. UCLA, 1999) is Professor of the Art History of Islamic cultures at the Free University Berlin. Her work focuses on the impact of coloniality on art-related institutions and pre-modern discourses of perception, with emphasis on the Ottoman Empire and regions of Islamic hegemony. She has written Possessors and Possessed: Museums, Archaeology, and the Visualization of History in the Late Ottoman Empire (University of California Press, 2003), Ottoman Painting: Reflections of Western Art from the Ottoman Empire to the Turkish Republic (IB Tauris, 2011), and What is “Islamic” Art: Between Religion and Perception (Cambridge University Press, forthcoming). This event is part of the public programme curated by Dr Cüneyt Çakırlar for the exhibition House of Wisdom Nottingham (28 September 2018 – 27 October 2018). Sponsored by Arts Council England, the exhibition is on display at NTU’s Bonington Vitrines and Atrium (School of Art and Design), Primary, Five Leaves Bookshop and Bromley House Library. House of Wisdom’s public programme is supported by the School of Arts and Humanities, Nottingham Trent University.